« Funny as Tech: Should NYC Be the Tech Capital of the World?! Special guests Dennis Crowley, Melissa Jun Rowley, & Allison Esposito! 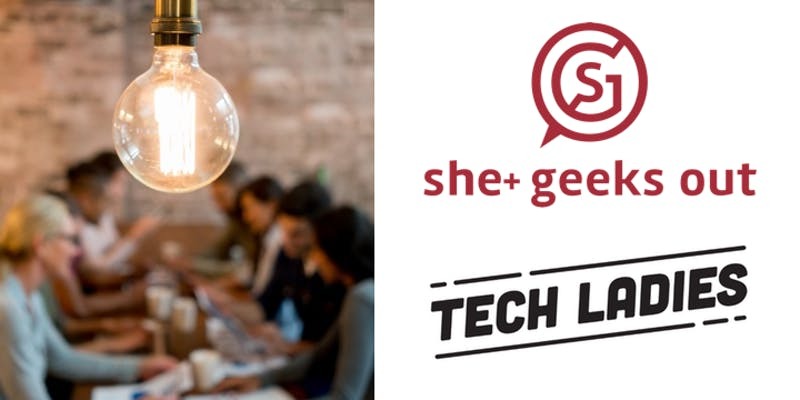 We’re thrilled to partner with Tech Ladies to host this interactive workshop on unconscious bias in the workplace! You may have heard about unconscious or implicit bias, but aren’t quite sure what it is or have a rudimentary understanding of it. At its core, unconscious bias is just what it sounds like. Bias that we don’t consciously register. In this interactive workshop, we’ll walk you through its meaning and show you several types of unconscious biases that can play out specifically in the workplace. You’ll walk away with a strong grasp of unconscious bias and practical ways to mitigate it, as well as a workbook filled with resources and tips. We’ll leave plenty of time for Q&A at the end, so you can ask specific questions in a safe and judgment-free environment. Felicia is Co-CEO and Co-Founder of She Geeks Out. Felicia Jadczak is a recognized voice in the diversity and inclusion field. She worked in the technology industry for over ten years, specializing in the creation and development of innovative programs and solutions. She has extensive experience in providing strategic guidance for diversity and inclusion across cross-functional teams. In 2016 she pivoted to focus solely on She Geeks Out. Felicia runs sales and business development, is the lead diversity and inclusion facilitator, and works closely with Co-CEO Rachel Murray on strategy and corporate programming on diversity, equity, and inclusion. Felicia received a BA in Comparative Literature (French, English) from Haverford College. She holds an MBA and a Masters in Information Systems from the Questrom School of Business at Boston University and is also the recipient of Georgetown University’s Certificate in Strategic Diversity and Inclusion Management.